It's tough to be organized when you have too much stuff and not enough places to put it. It makes putting "everything in it's place" somewhat impossible. Buying more organizing tools will NOT help! Believe me, I know. I used to be addicted to organizing my home in newly bought tubs because it gave me the illusion that it would stay organized. Unfortunately there was so much stuff it was impossible to keep it put away ~ there were more items than places to put them! I am NOT organized. I'm working on it and am improving, but reducing my things has helped a lot in this area. I don't have to organize my closet anymore because I don't have that many clothes. It makes it a lot easier to be organized when you have less stuff. In fact, my clothes are currently aligned in the Konmari way, from longest to shortest, and it looks so pretty! I can see every piece. All of the pieces work together and I don't have to prepare outfits because I can just grab and go. They work this way because they are versatile pieces (you can read more about that here). Simplifying creates peace and it's so worth it. Every time I reduce a little more, it brings a sigh to my soul. 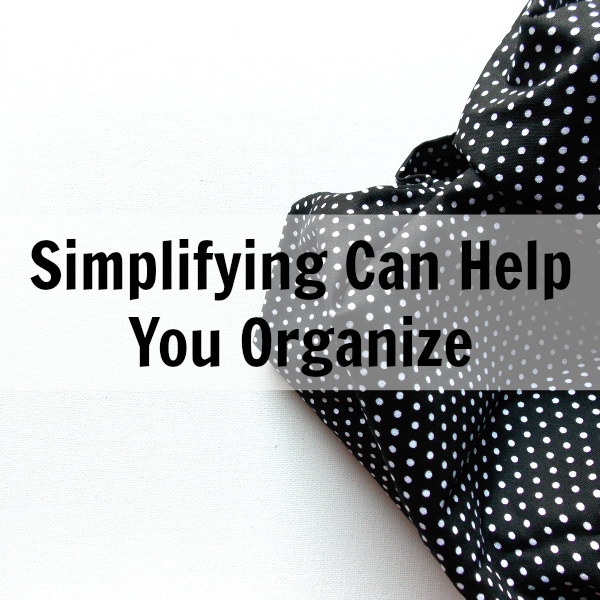 As Flylady says, you can't organize clutter! You can only get rid of it! So true. Is your stuff overtaking you? Do you struggle with organization? You had me at clutter. When can we meet to talk?!?! I need help in this area so bad!! I need your advice and tips!!! Girl, you let me know! I would love to talk with you! !